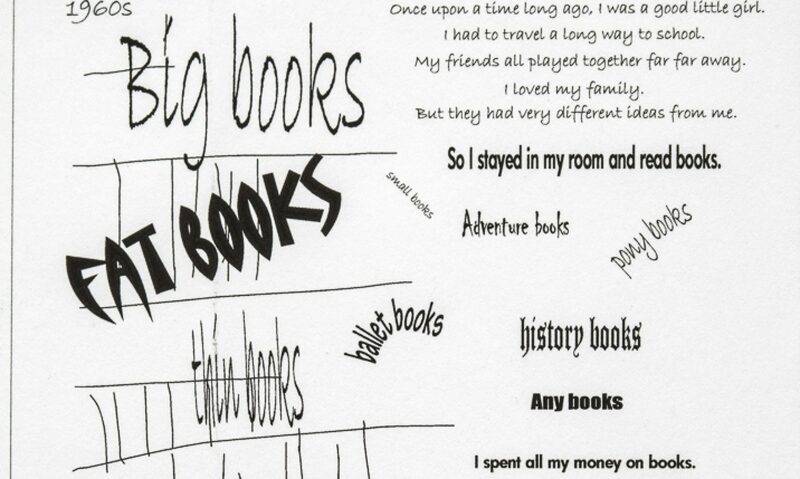 Linda Mayoux blog for Open College of the Arts Book Design. Project 4: Experimental Book: Anon. 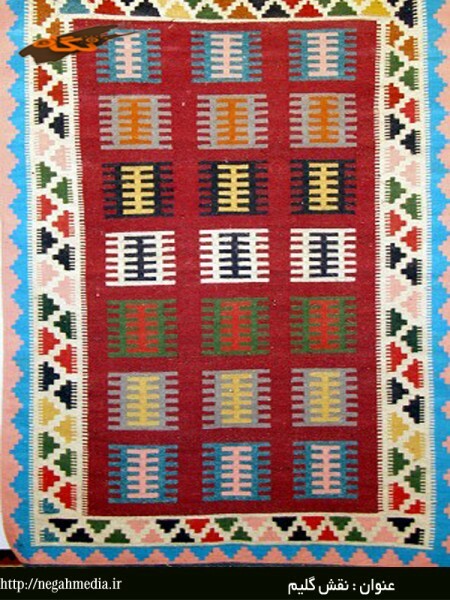 Saudi Arabian art includes both the arts of Bedouin nomads and those of the sedentary peoples of regions such as the Hejaz, Tihamah, Asir and the Najd. There is also a vibrant modern art scene in major cities highlighting social issues, with a number of prominent women artists. 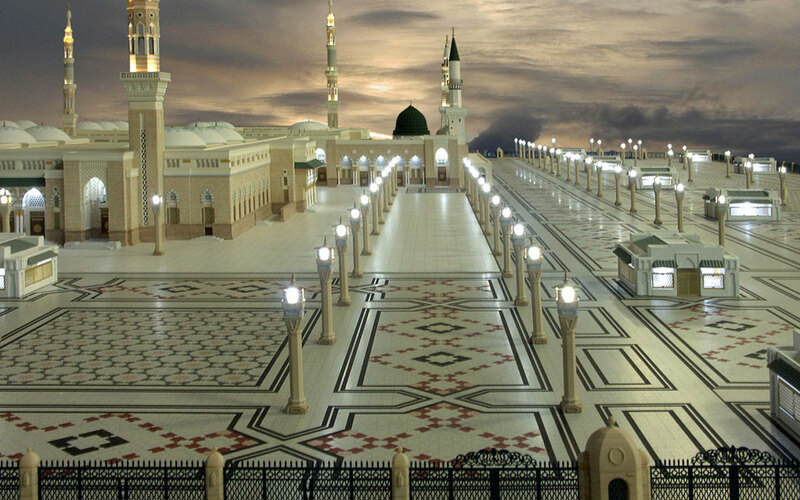 The first mosque of Islam was the house of the Islamic prophet Mohammed in Medina. 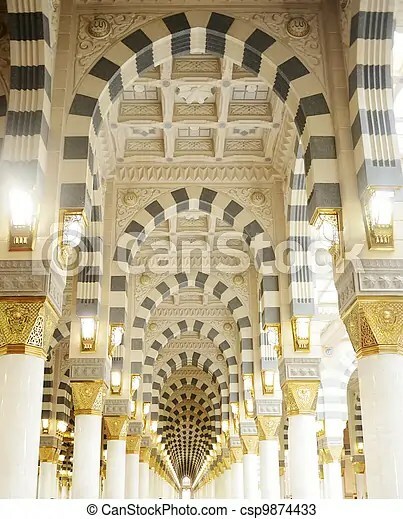 It is the prototype of all later sacred architecture of Islam. 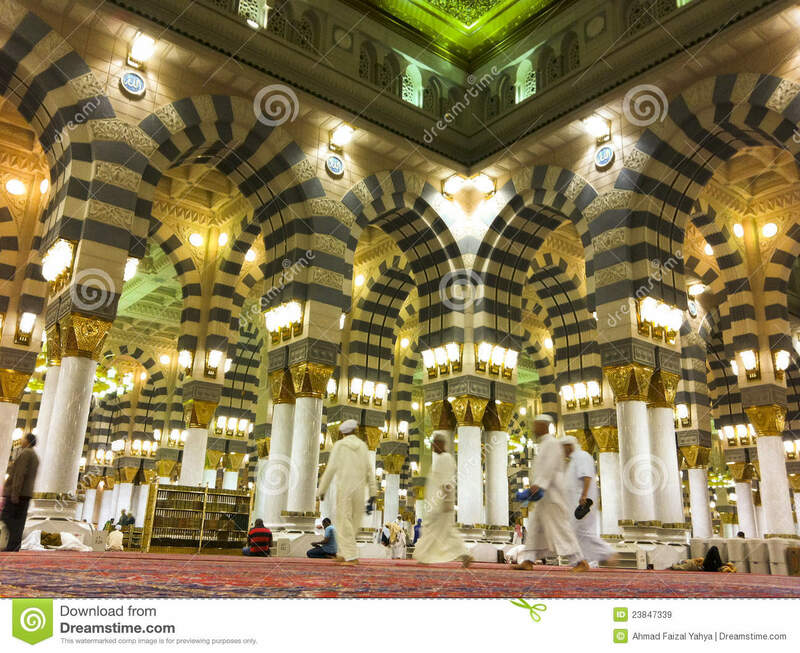 In it are most important the floor and carpet that are touched in prayer with the head. 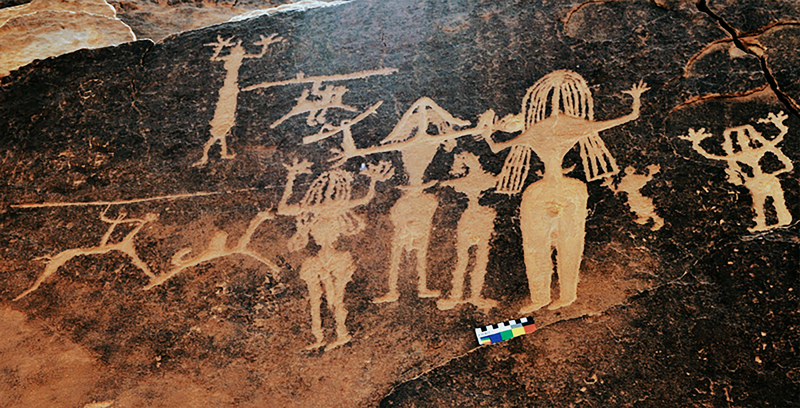 Tribal symbols referred to as “wusum” were carved by Bedouins during prehistoric times and are found as rock art in the hills and deserts of Arabia. The Art Movement in Saudi Arabia started in the mid 60’s by a group of School Art Teachers and lasted till mid 80’s. Prince Khalid Al Faisal, himself a poet and artist, inaugurated a cultural centre in Asir Province to promote young fresh talent. It was from this project that one of Saudi Arabia’s most prominent contemporary artists, Ahmed Mater, emerged. In 1972 Mohammed Said Farsi became the mayor of the coastal city of Jeddah, making the city one of the largest open-air art galleries in the world. Artists incorporated media outlets such as photography and video technology. Recently, there has been an increase in public galleries exhibiting modern art in Saudi Arabia. This supported by the influx of commercial galleries and a growing grass-roots movement of artists who have acquired international status. 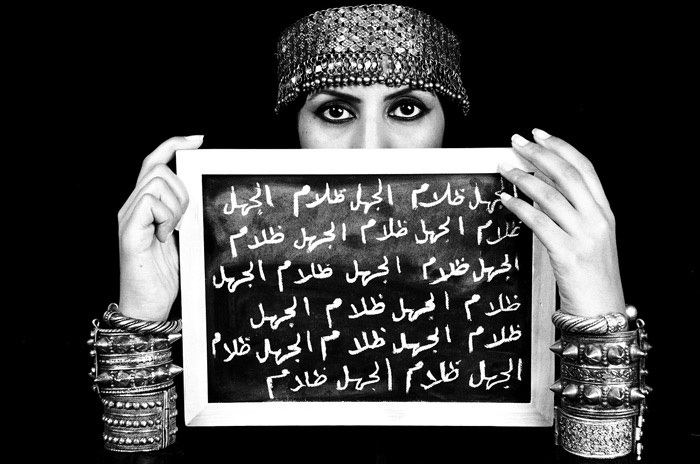 Women are at the centre of the contemporary Saudi art scene, posing questions on the current political climate and women’s rights. Riyadh’s first curated contemporary art platform. The name Alaan, meaning ‘now’ in Arabic, is supposed to represent the energy and power of the prevailing art scene in Saudi Arabia. The exhibition shows works entirely created by women, who are both diverse methodologically and in terms of their artistic style. Further, the founder, creative director and chief curator are all women. The gallery also hosts master classes and workshops, organized by Sara Raza (the former curator of public programmes for London’s Tate Modern Museum), teaching prospective artists about contemporary art. Moreover, Alaan Artspace funds its non-commercial exhibitions, commissions new works and offers free non-profit educational arts programming through revenues from its shop, restaurant and café. Manal Al Dowayan (1973) was born in Dhahran, the Eastern province of Saudi Arabia. Initially she studied Systems Analysis (MSc) and worked as a Creative Director in an oil company. She was working and producing art for 7 years until she became a full time artist in 2010. This was a result of an active art industry that was evolving in her region. 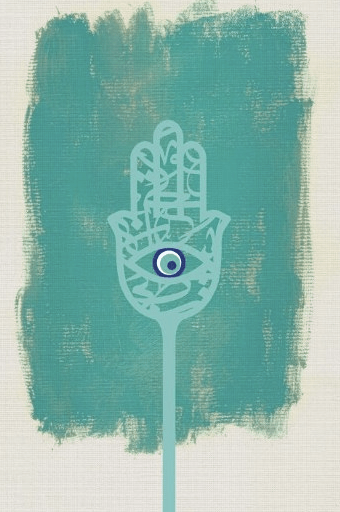 Dowayan has rapidly become one of the leading advocates of contemporary artists in the Middle East. She studied abroad in a number of art institutions including USA, London, Dubai and Bahrain. She works mostly with photographs and installations and her work is largely feminist in nature. Her most revered piece is ‘Suspended Together’, a flock of doves made from fiber-glass with stickers on their bodies . The doves are interlocked and made up of permission slips that women in Saudi Arabia must have signed by their husbands or male guardians to have permission to travel. Samiah Khashoggi, born 1958 in Abha, is an interior designer, painter, and organizer of Saudiaat, an art exhibition. In 1982, she graduated from Kingston University in the UK with a bachelor’s degree in interior design, and in 2005 completed her Masters of Fine Arts from De Montfort University. She is an assistant professor of interior design at Dar Al Hekma College. For a few years starting in 1983, she worked as the first female designer at her brother’s furniture and design company. Working on her MFA required her to interview and organize an exhibit for local female artists. Her exhibition for her MFA turned into a regular exhibition called Saudiaat, featuring contemporary female Saudi Arabian artists. As well as featuring artwork, Saudiaat also supports local female artists and educates the public about the techniques involved in their work. As of 2012, the group has had four exhibitions, with the 2012 exhibition, titled “Directions”, having been held in Jeddah. 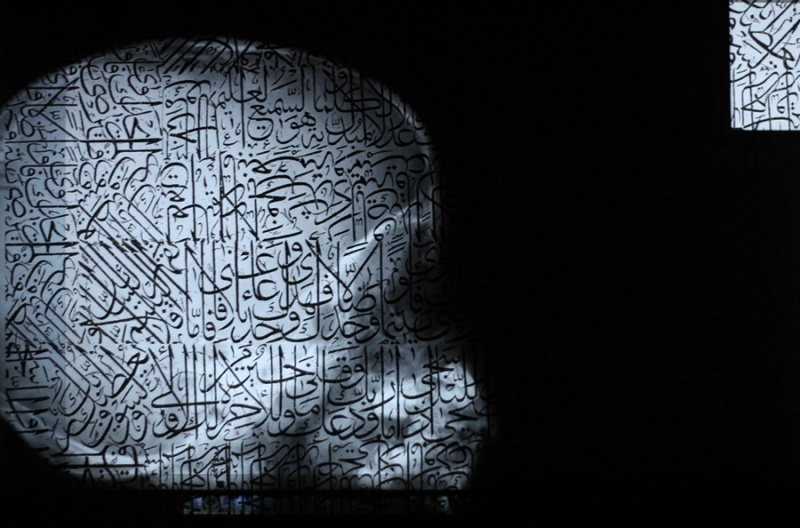 Nabatt: A Sense of Being (2010) is an exhibition of contemporary art from Saudi Arabia. It is presented by the Saudi Arabian Pavilion at the Shanghai World Expo. Amongst the artists exhibiting, it features works by Shadia & Raja Alem, Reem Al Faisal, Lulwah Al Homoud, Jowhara Al Saud, Noha Al-Sharif] & Maha Mullah. The show attempts at engaging with the diverse nature of life, notably human relationships and the interactions amongst and within social groups and communities. Edge of Arabia (2003) is a UK independent non-profit organisation, founded by an artist collective. In January 2012, it organised a 40-piece exhibition entitled ‘We Need to Talk’. More than a third of the works displayed were by women. In October 2012, it presented ‘Come Together’ curated by Stephen Stapleton displaying large-scale, multi-media work by leading Arab artists. The name of the exhibition, Come Together was a reference to social networking channels and their influence on individual expression in the Arab World. The show featured the work of 30 emerging artists which included works by Saudi Arabia’s Sarah Al Abdali and Manal Al Dowayan. In addition to the exhibition Edge of Arabia teamed up with The Crossway Foundation, Dar Al Mamûn and Future Shorts to incorporate an education programme comprising workshops, film screenings, topical discussions, and guided exhibition tours. Soft Power (September 26 – December 10, 2012) was the inaugural show at Alaan Artspace. Soft Power represents an innovative project, looking at the complex domain of a woman’s role and the position of women within contemporary Saudi society. It features three Saudi female artists: Sarah Abu Abdallah, Sarah Mohanna Al-Abdali and Manal Al Dowayan. The exhibition, rather than being explicitly political, explores the subtleties of the political and social contentions prevalent in Saudi Arabia. Throughout the exhibition, there are references made to the guardianship laws adopted in Saudi Arabia. The female subjects represented are givers, consumers, objects, power-brokers and caretakers. As stated by the exhibitions website, the artists embrace ‘a nuanced and at times humorous approach towards exploring the position of women within contemporary society.’ The name of the exhibition encapsulates this stance, and the subjects of the works themselves, which attempt at reshaping the expected narrative. Moreover, it offers a platform for discussion and dialogue on matters concerning art in Saudi Arabia. Wadjda, is the first feature film to be made in Saudi Arabia it was directed by a woman. Haifaa Al Mansour, made her debut at the Venice film festival. Her feature film explores the restrictions placed on women in the conservative Islamic kingdom. It took her three years to have the permission and backing to make. It is a Saudi/German co-production, produced by the Berlin-based Razor Film Produktions with support from Rotana Studios. It is the first film entirely shot in Saudi Arabia, documenting the everyday trials and tribulations of a young Saudi Arabian girl, Wadja. It encapsulates her childhood journey opposing social norms and restrictions both at home and school. Al Mansour hoped the film would help to change attitudes towards women and film both within and outside Saudi Arabia. However, the film is yet to be seen in Saudi Arabia until its subsequent television release. Al Mansour claims to have faced a number of challenges casting and filming in a country steeped in conservative attitudes. 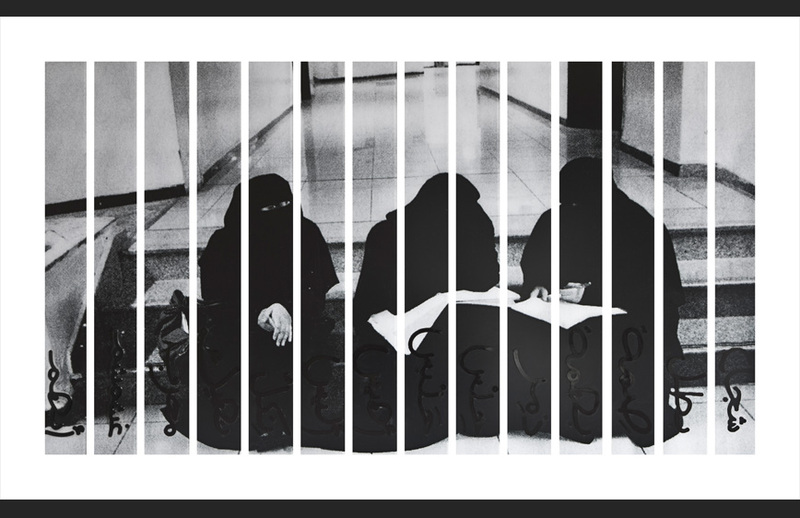 She aimed to depict the segregation of women in Saudi Arabia. Namely, the fact that women have lower legal status than men, are subject to guardianship laws and are banned from driving.